Shortly after dawn, a procession of trucks, motorcycles and carts laden with plastic-wrapped bundles winds its way toward Aranyaprathet's sprawling Rong Klua market, the largest second-hand emporium in the country. The town is on the eastern border with Cambodia and draws vendors from the neighbouring country peddling mostly used clothing, curios and tawdry knickknacks. However, the 3,000-stall market is not all trinkets, with vendors selling fresh produce from Cambodia, including edible insects. Thea Tep is one of a growing number of insect sellers creating a buzz in a cavernous hall in the heart of the market. Mornings are her busiest time, when boxes crammed with frozen grasshoppers are delivered to her shop, Tata Bugs Trading. She also sells frozen silkworm pupae transported overland from southern China. She says the business has improved since her father started it a decade ago. "The supply of insects is better now," she said. The edible insect trade has taken off in Thailand in recent years and the country is now Southeast Asia's largest importer of insects. 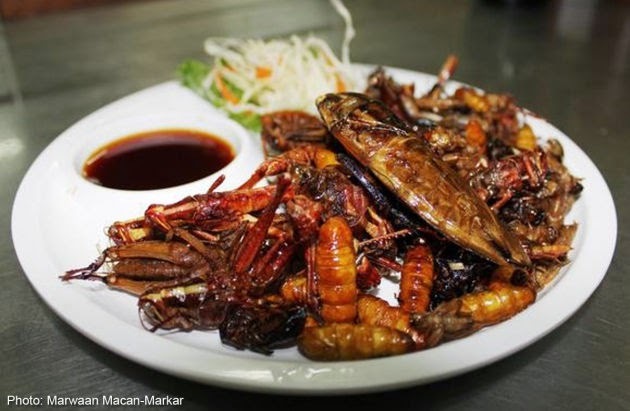 The United Nations Food and Agriculture Organisation (FAO) estimates Thailand annually imports 800 tons of edible insects from Cambodia, Myanmar and Laos and 270 tons of silkworm pupae from China. 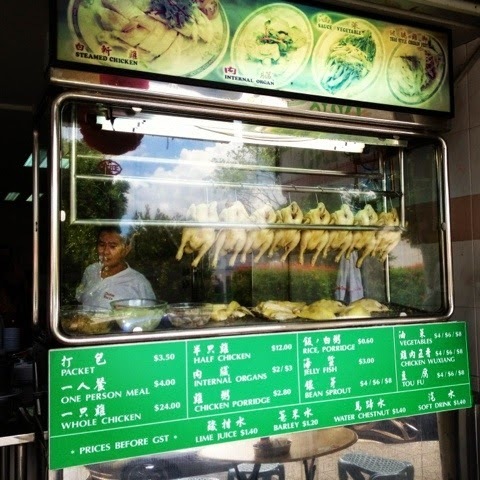 Do you love Chicken Rice but often have to give this famous Singaporean Cuisine a miss due to health reasons? The Low Fat, Low Cholesterol Kampong Chicken served at Chicken House may offers you a sly reason to cheat a little. Located along Upper Thomson Road, this restaurant promises its diners Kampong Chicken which consists of mainly fat free lean chicken meat. Why are Kampong Chicken meat low in fat and relatively leaner? That's because they 'workout' alot by running around freely in the kampong unlike their farm cousins who are usually held captived & forced feed to fatten up. The restaurant offers old school dining experience where you and your friends can just sit, eat, pay and get out. Not a comfortable place for hanging out over coffee. Finally, the main hero of our meal - Our athletic chicken. 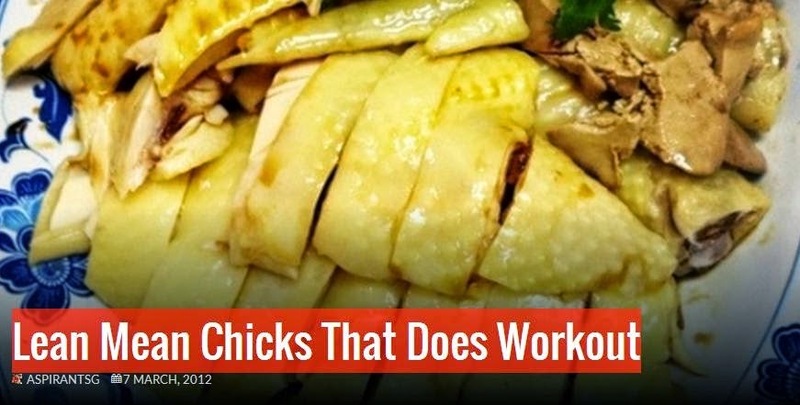 The chicken skin is yellowish in color which does not really look appetiting to me. The chicken parts are slightly smaller compared to the chickens served at other places. The meat is lean and tough with minimal fats. The accompanying rice has significantly less oil but also weaker flavor compared to other chicken rice vendors. Yes, this is a healthier choice but I still like my chicken voluptuous, tender and with hints of fats. Nowadays business people will go all-out to make a quick buck especially from those not-in-the-know. 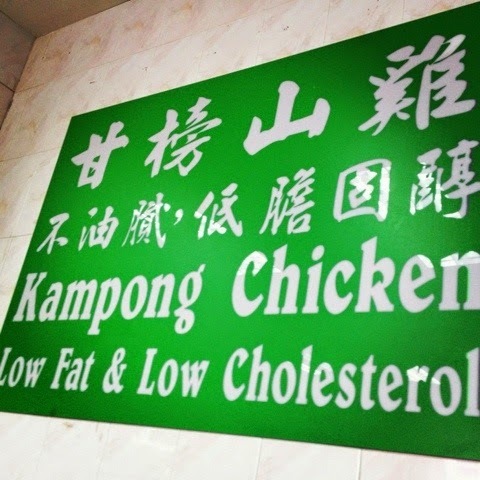 to Claim that they sell kampong chicken which apparently do not seem to be what they claim is downright dishonest. Imagine sell double the price - $16 as compared to a normal $8 chicken. Please be wary of such people, ask them where their chicken come from? 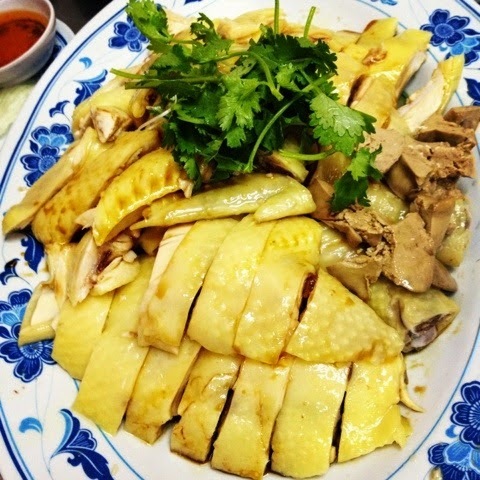 Typical Kampong Chicken with yellow skin, fat-free, lean and tough meat. 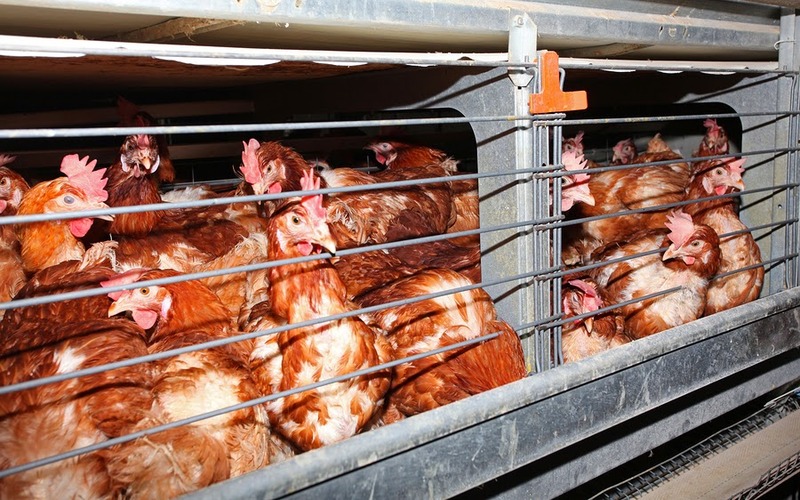 This is what a Kampong chicken look like as compared to a farm caged chicken. 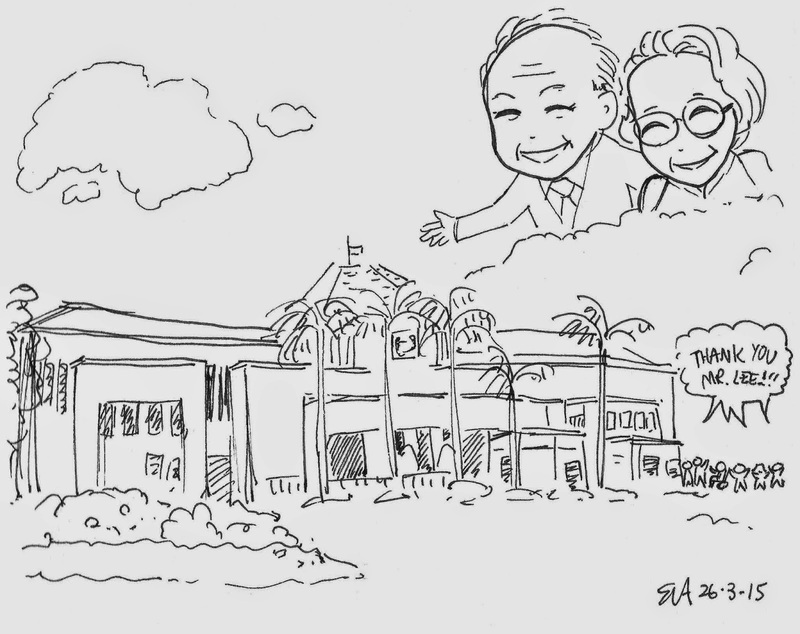 After the formalities of the Lying in State as well as the State Funeral Service, Mr Lee Kuan Yew's family was finally able to say goodbye to him during a private ceremony on Sunday, Mar 29, at Mandai Crematorium. The ceremony was attended by family members, friends and long-time staff of Mr Lee, The Straits Times reported. The casket had arrived at 6.10pm and was borne aloft to Hall 1, said The Straits Times. Mr Lee's daughter, Dr Lee Wei Ling, had placed the memorial portrait in front of the casket. Was the reception to Lee Kuan Yew's passing just a knee-jerk reaction? I have no doubt that Singaporeans and many people around the world felt genuine, emotional stirrings at the death of this giant, but that it was so short-lived makes one wonder. I suppose we can't expect people to be writing eulogies to him every day. We all know that life goes on. However, I believe that if you asked the people who had either strongly negative or neutral feelings, or those who could rationalise how they felt about his life and passing, the conviction of their sentiments would be the same now as they have been for years and will be for years to come. So what of the seven-day mourners? Was it a knee-jerk reaction? Was it that people didn't expect to feel as much as they did when he left us? Or was it just that many had never thought about it before and never weighed the importance of this man in our history and future until he was gone? How much of it stemmed from pure ignorance? One of the main things that struck me was the disgust with which people who had anything other than a kind word to say about him were treated. They were called ungrateful and disrespectful. They weren't allowed their own opinions — God forbid any judgements — or their own parting words to a man they had a different relationship with. When Lee Kuan Yew passed, he was apparently no longer just a great man; in the eyes of many, he had become a perfect man too. 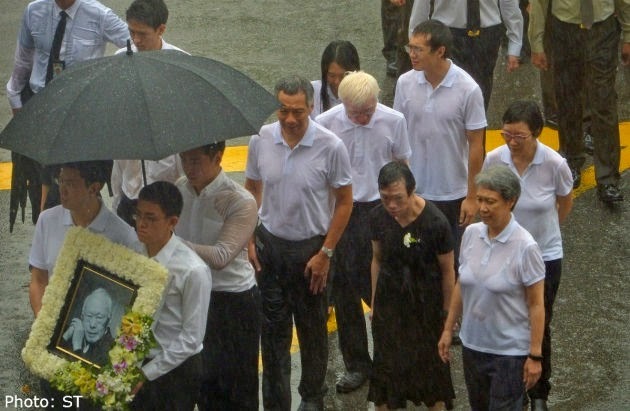 The Guardian: Lee Kuan Yew funeral: what's the mood in Singapore? SCMP: Will China's president attend Lee Kuan Yew's funeral? – Singapore 2B: What is Government For? – The New Era: Religion and politics: when can they mix? – The Unseen Spore: Who is the Mysterious Girl at Lee Kuan Yew’s State Funeral? – Top of the Word: Spore is Free, Whatever the Western Media May Say! – Wei Sze? : Goodbye Mr Lee Kuan Yew. Thank you for all that you have done. – Vicky’s Writings: Queuing because I am a Singaporean. – nofearSingapore: How Is It? – Iron Bowl: We will probably not have another leader like LKY. – Kaffein-nated: What’s next, Singapore? – The New Era: From gums to dialects: What kind of future do we want from now? – A collection of thoughts: Is the PAP likely to garner sympathy votes? – [FB] Yvonne Ng: This is Singapore. – Roamingglass: Thank you, Mr. Lee! – Holly Jean: Black or White this Sunday? And What Will Become of Singapore? – Food Fuels Me to Talk…: Doing it my way? – Zhuang Xinyu: Lee Kuan Yew passed away today. – WonderPeace: What was LKY last wish? – 否极泰来 Piji Tailai: Singapore After Lee: Less IMF, more World Bank? – Desparatebeep: Harry’s Unexpected Lessons. – Mf’s Mini World of Mf-ism: Fare thee well! – Mother, Inc.: Thank you, sir. 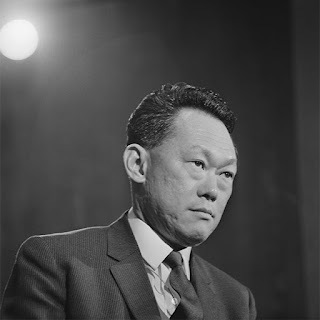 – Just Speaking My Mind: Thank You Mr Lee Kuan Yew! 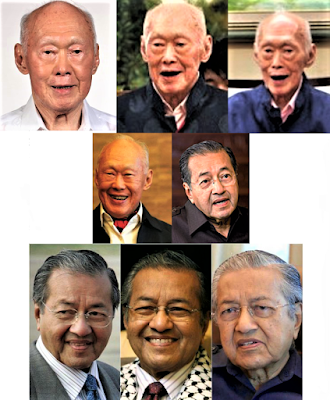 – Arra’s World: My Thanks to LKY & Co.
– Top of the Word: LKY – The Man Who Made Country an Economic Powerhouse! – Koh’s Space: A Tribute To A Great Leader. – Singapore Recalcitrant: Is this the passing of a Titan? – Kirsten Han: Lee Kuan Yew is gone. Where does Singapore go now? – #Alpha Male Syndrome: Farewell, Kuan Yew. No more aircon for us, please?